This compilation rates a slightly qualified rave. As far as it goes it is excellent in all that it offers -- the sound is gorgeous, in killer fidelity, and it couldn't be too much more generous, with 28 tracks. On the other hand, there isn't a single word of annotation anywhere -- and as a rule that would be a problem, but in this case the listening is such an unbridled pleasure that it's just possible to ignore that trangression, up to a point. For the uninitiated, Winley Records, founded by Paul Winley and best known today as a pioneering hip-hop label starting in the late '70s, began life in the mid-'50s as an R&B label. They competed with the likes of Atlantic, Rama, Gee, etc., and had the talent to back up those ambitions, including the Paragons, the Jesters, Little Anthony & the Duponts, and the Quinns. Some of those names don't mean too much to anyone not familiar with early rock & roll (especially from New York), but they count a lot to the audience at which this collection is aimed. From achingly beautiful slow ballads to infectious rhythm numbers, this CD is overflowing with a lot of joy in the performances and the playback, and while the material isn't presented chronologically, listeners do get the cream of the Winley library across the label's first five years of existence, and some of the better moments of a lot of the acts represented. 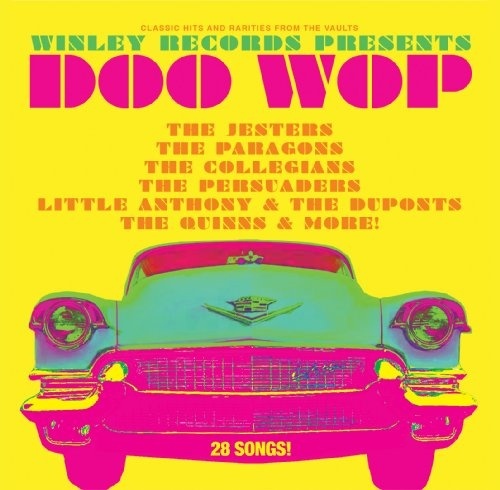 Some of these, such as "The Wind" and "Uncle Henry's Basement" by the Jesters and "Florence" by the Paragons, are well known, but a lot of the rest consists of rare (but worthy) B-sides by those acts, as well as fine songs by some of the less successful acts signed to Winley, such as the Collegians and the Callenders. And as far as the listening goes, it would be difficult to outdo the pleasures of this CD -- and that goes double for the real rarities, such as Charlie White, the onetime lead singer for the Clovers, doing the bluesy "Nobody's Fault But Mine" and sax-ornamented ballad "Dearest to Me." The producers get high marks for the care they lavished on the programming -- it's just a pity that they didn't want to luxuriate in the history behind the music as much as they did the sounds themselves.